An encounter with law enforcement can be very intimidating, and it is natural to feel nervous that you are in some way violating the law. However, an arrest and a detention are very distinctive situations that have different conditions as far as your rights. It is very important to remember the distinction between a detention and an arrest, so that you understand what your rights are should one of these situations occur. It is important to understand that if law enforcement confronts you, this does not always mean that you are under arrest. Remaining calm and maintaining civility are the best actions to take when being questioned by the police. It is also important to avoid running away, and always keep your hands visible to that the police can see them. The police need reasonable suspicion to detain an individual, and you have the right to ask the police why you have been detained. If you are not under arrest, you have the right to walk away. If the police still proceed to arrest you, you have the right to speak with an criminal defense attorney. Law enforcement must have probable cause or a warrant to make an arrest. 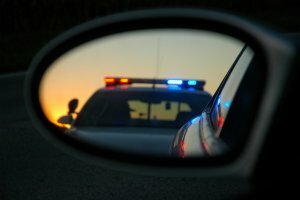 If a law enforcement officer has a reasonable belief, that there is in fact a high probability that you have been involved in criminal activity, the police officer may arrest you. If you are arrested, this means that you are officially being charged with a crime. As opposed to a detainment, you do not have the right to leave once an arrest has taken place. Once the arrest has been made, you can be held in jail for up to 24 hours, and you may have to pay bail to be released from custody. It is important to quickly seek legal representation upon an arrest to protect your rights. A Criminal Defense Attorney can provide you with legal counsel, and advise you in regards to your rights. An experienced lawyer can also advise you in the actions and procedures that need to take place going forward. If you have been arrested, or issued a traffic citation, call Blick Law Firm today for a free 15-minute consultation. Think Quick, Call Blick! 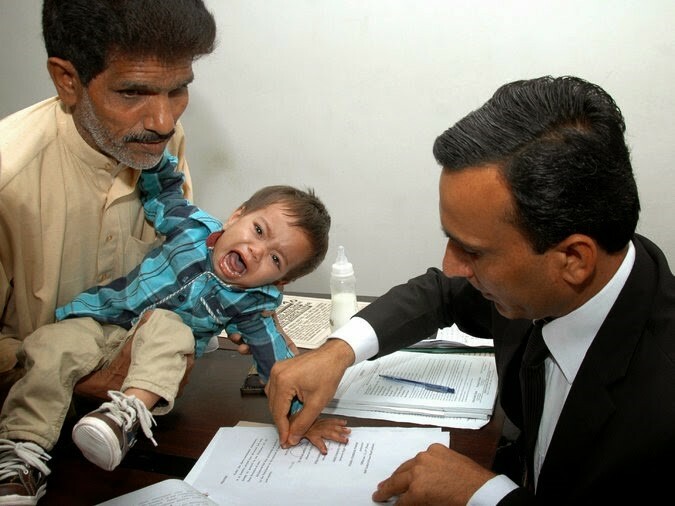 In recent news, a nine month old baby was arrested for attempted murder in Pakistan. Due to a confrontation with the police over an unpaid bill, an entire Pakistani family was accused of attempted murder during a protest against gas cuts and price increases, along with their nine month old child. The child cried as his grandfather held him while the police took his fingerprints. The charges against the nine month old were eventually dropped however, it is deeply troubling that Pakistan’s criminal justice system would even allow something like this to happen. Unfortunately, terrible situations such as this one occur every day in different parts of the world. As American’s, we are extremely fortunate to have a justice system designed to protect us from such unthinkable situations. As a democratic nation, our constitution safeguards us from government abuse and Constitution safeguards us from government abuse and oppression. The American criminal justice system upholds the legal rights of American citizens that are accused and convicted of committing a crime. The civil rights and liberties expressed within the American constitution are heavily enforced in the United States; they must be upheld in order to protect the natural birthright of freedom and liberty that belongs to all people. The American justice system entitles all citizens the right to a fair and unbiased trial in the event of an arrest. In the United States, all individuals are considered innocent until proven guilty in the court of Law. Every citizen of the United States also has the right to a criminal defense attorney. Blick Law Firm strives to protect the rights of all its clients by providing exceptional legal representation in criminal law. The experienced attorneys at Blick Law Firm are dedicated to “helping the hurting”, and diligently work hard to provide excellent legal counsel. Founded on Christian values, Blick law firm strives not only to meet the legal needs of clients, but also aims to instill hope for the future through the gospel of Jesus Christ. Attorney Michael C. Blickensderfer holds over 25 years of legal experience, call Blick Law Firm today for a free consultation. Often times you may be asked a wide range of questions during a deposition. However, there may be instances where questions asked have nothing to do with the case at hand. The nature of these questions can sometimes be extremely personal to provoke the one being questioned. Should this situation arise, it is important not to feel pressured or intimidated, and to practice maintaining a high level of professionalism and poise despite emotional stimulation. If you are asked a question that makes you feel like you are being harassed or baited, you have the right to consult your criminal defense attorney before answering the question. An experienced lawyer can object the question, and advise you in whether or not your answer is necessary. As an example, pop star Justin Bieber recently underwent a deposition where he was questioned repeatedly about his career and personal life. The annoyed pop star quickly responded with sarcasm and aggression. Bieber proceeded to sarcastically answer questions, wink at the camera, and display an uninterested and arrogant attitude throughout the entire deposition. This type of behavior is not recommended as it can hinder your character and credibility, which can complicate and possibly affect the outcome of your case. Attorney Michael C. Blickensderfer has over 25 years’ legal experience, and is dedicated to serving his clients. Grounded in Christian values, Blick Law Firm strives to provide excellent legal representation while instilling hope for the future through the gospel of Jesus Christ. Contact Blick Law Firm today for a free case evaluation. Think Quick, Call Blick! Arrested Over the New Year? During the transition into the New Year, most people spend extra time celebrating with friends and family. However, every New Year people tend to get carried away in their celebrations and face the risk of being arrested. Due to an increased tendency to behave irresponsibly during these festive times, arrests for DUI, trespass, disorderly conduct, and various alcohol related offenses tend to increase accordingly. It is important to remember to always be responsible during and after New Year’s celebrations, but also to be aware of your rights in the event that you are arrested.